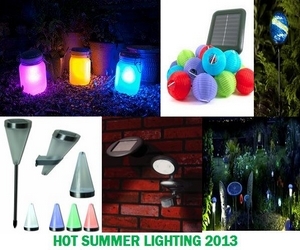 Outdoor Lighting – Ways to Light Up the Garden! As the summer approaches we look at our top 26 outdoor lighting products which can act as wonderful decorative features in enhancing the look of your garden landscape and outdoor security lighting which can help you save on your energy bills. These solar fairy lights are available in three colours (white, blue and multi-colours) and come in packs of 100 lights which stretch over 10 meters or 280 lights which stretch over 28 meters. Great for Christmas or any festive occasion. 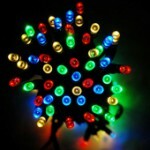 20 Large circular solar LED lights come on 16 Meters long. Available in all white or in Multi-Colours. Flashing or constant on lighting mode options. Set of 16 wonderful Chinese Hanging Lanterns. Can be disconnected from the string light and charged from the mains with through an included usb cable during prolonged periods of bad weather. Fully weather resistant the Hessian Lights will light for up to 10 hours after dark. Come as a set of 16 lights on a 16 meter cable. Great way to decorate an outdoor area for any occasion. 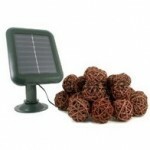 The Rattan Ball lights come with a 12 month manufacturers guarantee and can be adjusted between constant on and flashing mode. 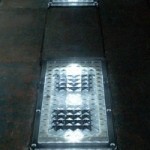 Shaped in the size of a standard pavement block these lights are designed to be inserted into the ground and provide a wonderful ground lighting effect after dark. Made from robust material designed to withstand the weight of a car. 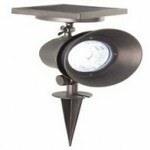 Stainless steel decking lights which come in both round and square shaped designs. 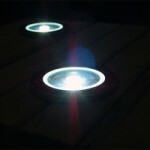 To install create hole in your decking and insert lights into location. 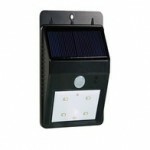 Heavy duty solar driveway light which will withstand 2 tonnes weight without getting damaged. Each light contains 5 super bright white led bulbs and is powered through 4 polycrystalline silicon solar panels. 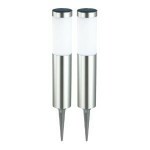 Set of two post lights made from quality stainless steel. 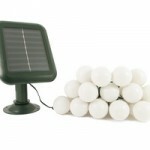 Each post contains 2 super bright LED bulbs making them twice as bright as standard solar garden lights. 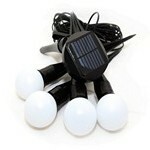 Lovely globe shaped solar lights which come in a set of four. 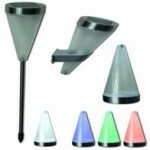 Available in either set of all white lights or as a set of colour changing lights. 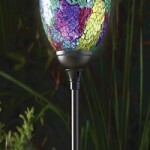 Peacock shaped solar garden lights with inbuilt daylight sensor. A ten hour daylight charge means these lights will shine for up to 20 hours. This wonderful light can be used as a ground light (includes spike), wall light (includes wall bracket) or as a table light. You can switch it between white or colour changing mode. Great to light up your driveway or walkway or to focus on a garden feature such as trees or shrubs this powerful garden spotlight is fitted with 10 double LED lights and will illuminate a 10 meter distance. Provide your garden, pathway or pond with a stunning lighting feature by installing these globe lights made from Muran Italian glass. Available in four different designs. 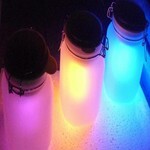 Make with a traditional mason jar the Sun Jar is available in yellow, blue(also known as a moon jar) or pink (also know as a dusk jar). 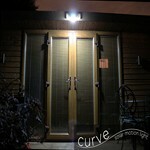 Powers by daylight and automatically illuminates after dark. 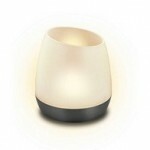 Safer to use then a traditional candle you flip the solar candle upside down to charge during the daytime and flick back over after dark to provide a soothing flickering lighting effect. 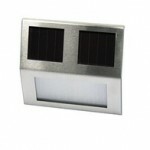 Mulit-purpose outdoor light which can be placed above a house number or as a outdoor light on steps. Powered by 2 powerful LED bulbs. 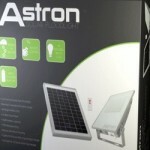 Includes four LED bulbs and a powerful 0.44 Watt solar cell this will automatically switch on to a dim light after darkness and change to high brightness when it detects body movement. 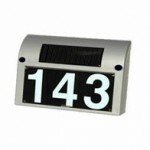 All in one solar address number lighting set. 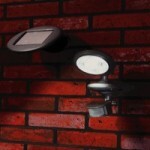 Allows you to create a mains free lighting solution to ensure your home can easily be identified after dark. 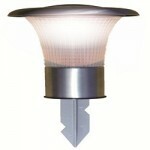 Powerful 50 Watt outdoor sensor light with 16 LED bulbs. Emits a constant gentle glow after darkness and will shine at full beam on the detection of body movement for 30 seconds. Beam range of 10 square meters. 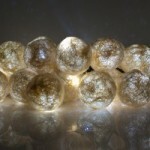 Contains 10 super bright LED’s which will illuminate 93 square feet. 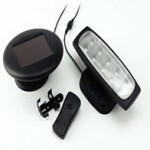 Operates with a remote control so you can keep this light on constantly at night-time. 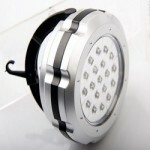 Provides great lighting through its 3 double sized super efficient LED’s. The integrated PIR movement sensor can be adjusted both for sensitivity and time so the bulbs can illuminate for between 30 seconds and 20 minutes per activation. Commercial solar security light powered with a huge 2.5 Watt solar panel with light projecting through 45 ultra bright LED bulbs. 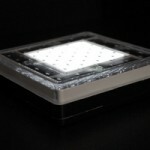 Provides 100 square meters lighting coverage. 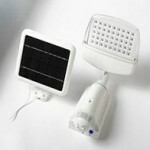 40 Large LED bulbs are charged during daytime by a 10 watt solar panel and give a 50 meter lighting range after darkness. Can be set to manual mode and controlled by a remote control or through automatic mode whereby it will automatically switch on after darkness. 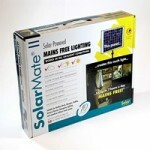 Ideal for sheds in remote area where mains lighting is not an option. The kits include solar panels, light bulbs and fittings and come in 8 different models so you can choose the model which best suits the lighting area you need to illuminate. 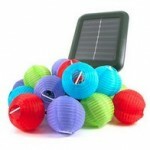 Attach to 12V battery (car battery) to act as a power source.